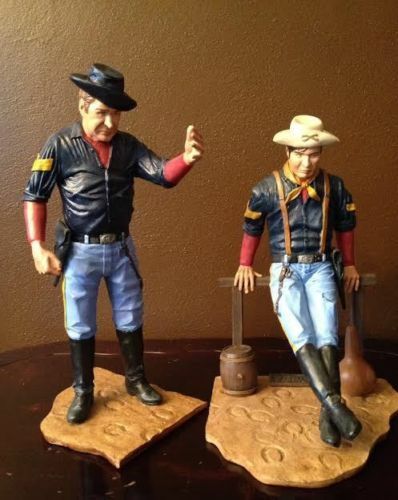 This is a set of hand-painted resin models from the television show F Troop. 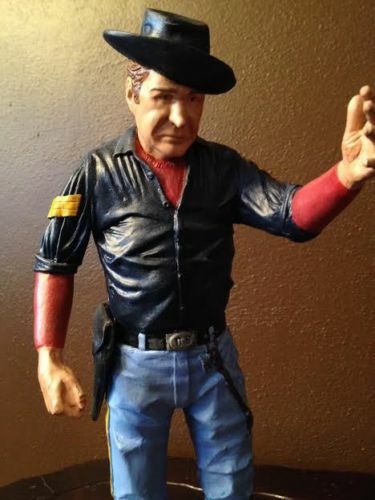 Both Forrest Tucker and Larry Storch have been beautifully hand painted with exquisite detail. 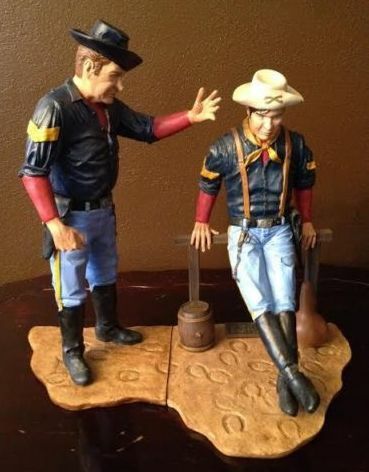 The model set features the two actors in a Western themed setting. 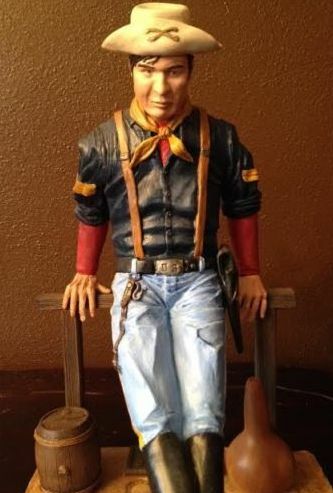 The figures are approximately 11 and 13 inches tall.